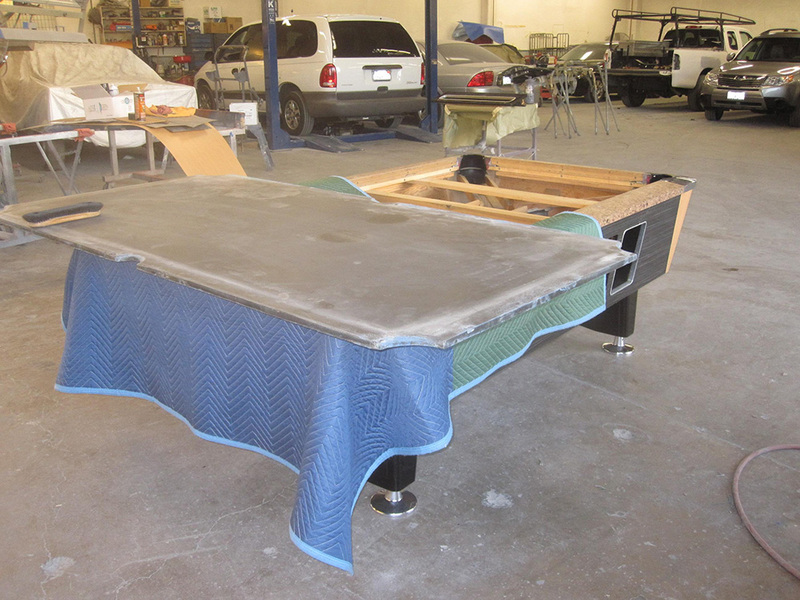 This is a pool table we recovered for our client, Precision Collision in Orange, CA. 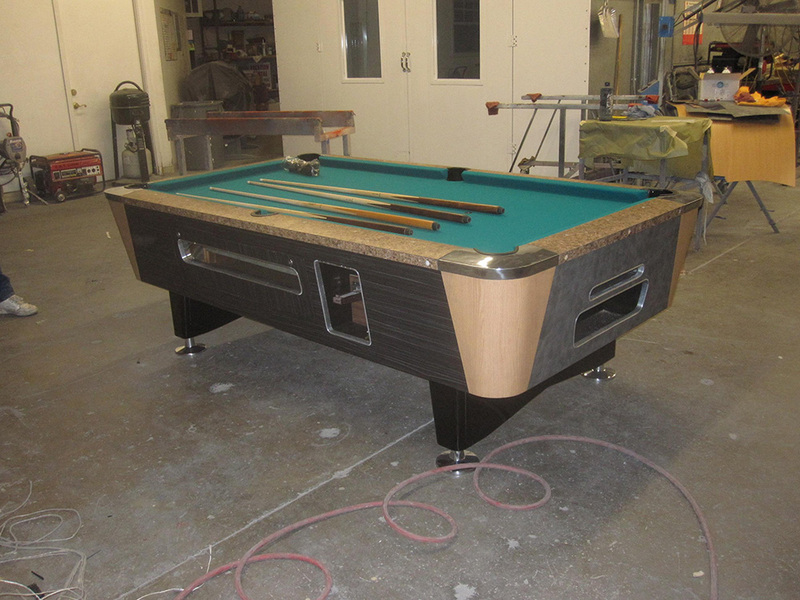 This Valley bar room pool table was totally refurbished by Jason, the body shop’s owner. 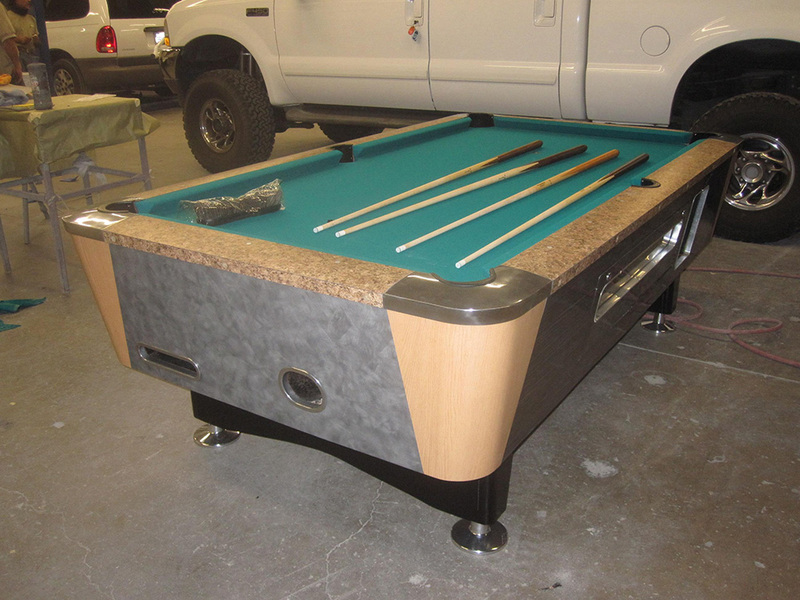 He wanted something “totally tricked-out” for his Salton Sea “Man Cave”. 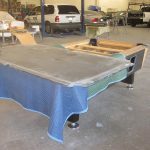 When my crew and arrived at Precision Collision, the pool table was already taken apart for us. 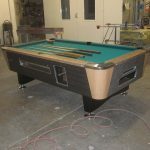 I noticed that the pool table rails still had the original Raybestos-Manhattan rubber and were still very lively. Not bad for being 35 years old! NIce Work, I just purchased a 1983 6′ Valley that I’m refurbishing and having a little trouble find how the coin mechanism is supposed to be set up. It has the dump tray and roller/leveler but, the spring is incorrect from what I can see but, should still work. Going to order the push chute and see if it works or if i need to find and order additional parts.